Recruiting at the Institute on Teaching and Mentoring is by invitation only. 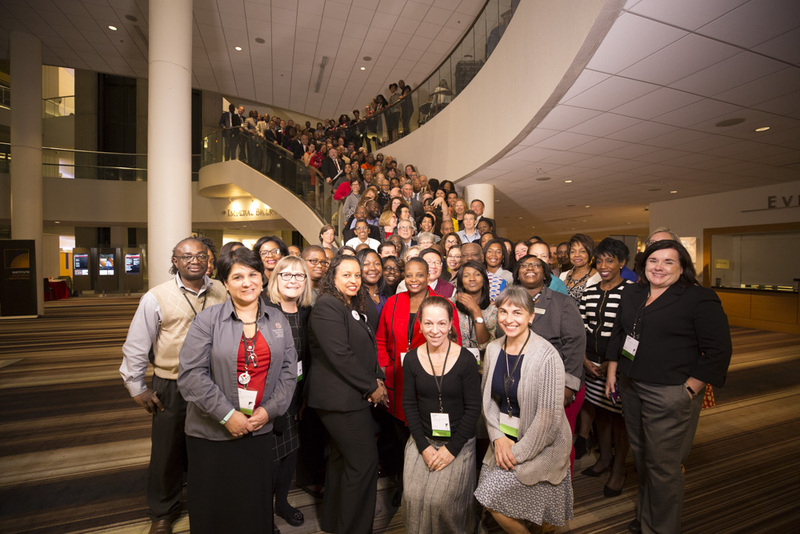 However, if you have never attended a past Institute as a recruiter and wish to do so this year, contact Institute staff at 404-879-5540 or InstituteInfo@SREB.org. Institutions that want to participate as a Recruiter at the 2018 Institute must receive an ID from SREB to register. For those institutions that have participated for the past two years, information will be mailed about registering for the 2018 Institute. Since the number of spaces that will be reserved for recruiter institutions will be limited, spaces will be allocated on a first come-first served basis. Invitations to recruit at this year’s Institute on Teaching and Mentoring will be sent out by email around June 1, 2018. Slots will be allocated on a first come-first serve basis. Conference meals for: Thursday evening reception, Friday breakfast, lunch and dinner.Saturday breakfast and lunch. We will offer the opportunity for institutions that attend the Institute to recruit potential scholars for employment at their institutions, to place ads in the Agenda Book. Also, institutions, agencies, and organizations that are not able to attend the Institute can place an ad in the Agenda Book. This ad will provide the opportunity to highlight positive features about your institution and programs as well as professional opportunities available at your institution, agencies and organizations.